Capoeira is for all! 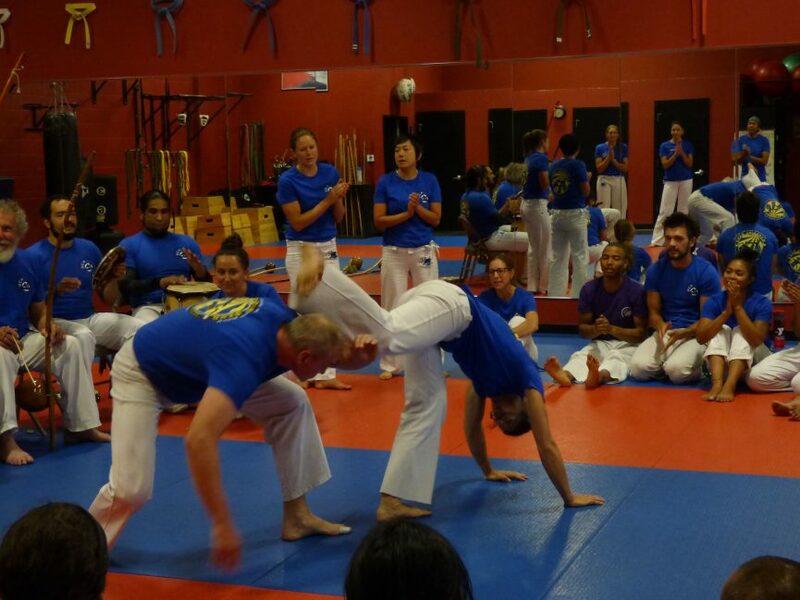 You’ve been wanting to try capoeira and wish there was a beginners class to join. Now there is! The first Thursday of each month we welcome first time students in a supportive judgement free environment to experience the joy of capoeira. Learn foundational attack, defense, movements, history, and philosophies of this rich African-Brazilian martial art form of freedom. Once class is just not enough to determine if capoeira is for you so we are introducing a weekly beginners hour every week. All you need is a water bottle, clothing comfortable to move in and your positive energy! every thursday from 6:15-7:15 p.m.
10% discount for 2 or more family members or friends ( first 3 month session only for friend discount, family discount continues) who join at the same time.